I always like to hear about new ammunition manufacturers, if for no other reason than because I like to shoot. 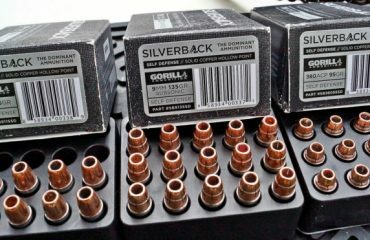 As I see it, the more quality makers of rifle cartridges there are, the better. Not only does that help us keep a healthy stock at the ready it also means more competition. Competition keeps prices down and drives improvement to quality. 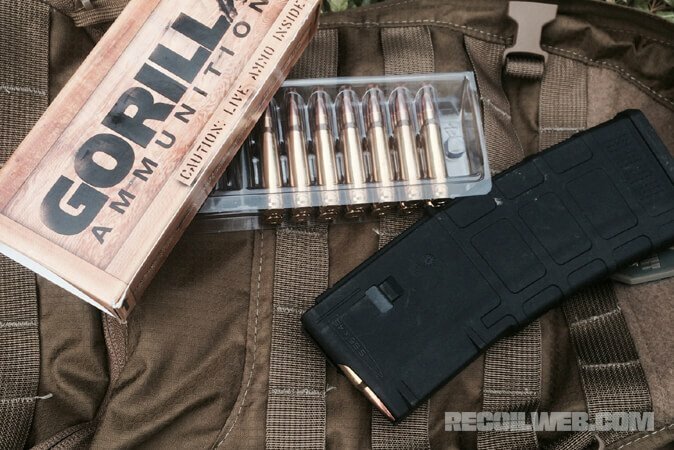 One new company that I only recently become aware of is Gorilla Ammunition. 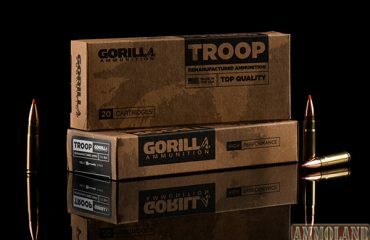 Gorilla Ammunition specializes in rifle caliber ammo (for now), producing several choices for .223/ 5.56, 300 BLK and .308 Winchester. 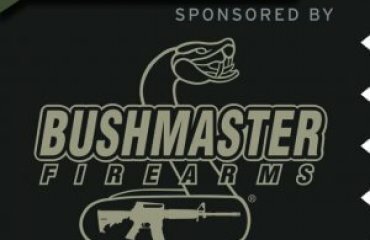 I’d heard they were a source of 300BLK ammo in quantity and quality and that they had loads to suit just about everyone. I wondered about their other calibers. Since the company has their ammo priced right, I decided to try some of the .223 Remington my buddy had while we checked out a new rifle.